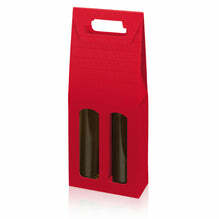 Carrying carton of open shaft for three bottles of wine or champagne up to 360mm length. Carrying cartons have a built handle and have a pre-glued automatic bottom. They are erected quickly. The fold-out window openings separate the bottles from each other and allow the view to the bottle label. 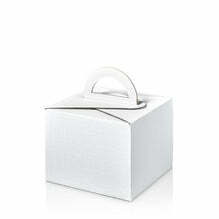 Please note that cartons are always filled from above and are not suitable for shipping.